Late last fall I brought out some compost one morning and I was so sad. A pair of little blue birds lay in the leaves, dead. They had waited too long to head south and the bitter cold of the night had killed them. They missed their opportunity because they waited too long. 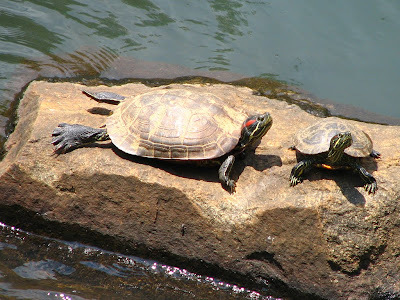 How do you know when it's time to jump into something and when it's time wait a little longer? This is something I've been mulling over recently and I'm really interested in your thoughts on this. Blog Make-over workshop now available--one starts March 1st. Today I'm posting At the Well and I'd love to have you join me! Twenty years of marriage and it's Sweeter and Stronger --even though I fail many times. There's also two book giveaways going on! One here at Patterings for Christa Allan's debut novel Walking on Broken Glass, and the other at Adding Zest for Sheila Wray Gregoire's book Honey, I Don't Have a Headache Tonight. Blogging is more than a web journal, it encompasses everything from marketing to ministry and so much more. If you're thinking about blogging, but don't know where to start, or why you should start now, Clearing the Blog Fog will get you going. You'll learn the benefits and the basics of blogging, and how to set up a blog from start to the final tweaks. When you're done with this month long workshop, you'll have a blog that's ready to roll. The class is run through a yahoo group so people can interact and learn from each other as we walk through each lesson and assignment together. The cost is $30 and at the end of the month, you'll have a sharp looking blog. You'll also have the know-how to customize it yourself to reflect you and the journey you're on. Sign up now to reserve your spot in Clearing the Blog Fog! Are you tired of the stock layouts Blogger offers? Would you like to have your blog reflect who you are without trying to explain it to someone? Then Do It Yourself Blog Make-over workshop is for you! In this two week class you'll learn how to take a basic stock layout and customize it with backgrounds, borders, blockquotes, buttons, and more. When you're done you'll have the experience to create the look you want, when you want it. 1. Personalize your blog – Decorate! - Think curb appeal! The class is run through a yahoo group so people can interact and learn from each other as we walk through each lesson and assignment together. The cost is $20 and at the end of the two weeks, you'll have a fresh blog. You'll also have the know-how and experience to customize it yourself to reflect you, whenever you want to. The class runs from April 5-18. If you're new to blogging, it's recommended that you take Clearing the Blog Fog where we walk through the fine print details of setting up a blog to get the most out of it. Sign up now to reserve your spot in Do It Yourself Blog Make-over! If the dates listed don't work well for you, email me because there may be other options that are not currently listed. Also, if you and some of your friends would like a class when there isn't one listed, we can see about arranging a class for as few as 3-5 people. Email me and we'll put something together for you. I’m not sure it was actually an epiphany as much as a series of confidence builders that led me in that direction. Long ago and far away, I wrote human interest columns for a newspaper. The Texas Press Association gave me an award for a column I wrote about my oldest starting kindergarten. It was enough affirmation to plant a seed that maybe, just maybe, I really could write. Over the next few years, God surrounded me with people who encouraged and supported me when I hesitantly typed paragraphs that turned into pages. In the meantime, my husband surprised me with a laptop and said, “No excuses. Go for it.” Then someone else came along and said it was time for me to start entering contests, so I did. None of the feedback suggested I toss my laptop, so I kept going! Halfway through my book, another friend threw down the gauntlet and told me if I was serious about writing, I needed to go to a conference. So I did. Through what could only be God-incidences, I signed with an agent a few months later. This is a blurb I wrote for a book I hope to write one day, and I plan to have fun with this one! Her husband, Jake, left her at the airport after their honeymoon. Claire’s father, Everett, will pay any price to appease his princess daughter. His employees, Donnie and Tyler, aren’t happy about the work force reductions. They just kidnapped the wrong person. 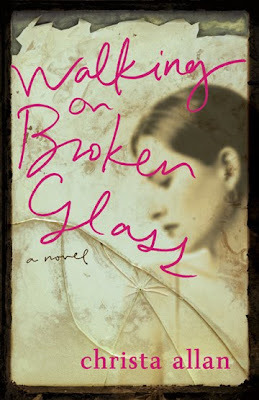 In Walking on Broken Glass, my favorite character is Theresa, Leah’s roommate. She’s rowdy and rough, with a built-in poopy detector she isn’t afraid to use. But that shell protects a vulnerable woman, and readers will discover there’s more to Theresa than swinging braids. Though I wouldn’t have suspected this when I first started the book, the character that intrigued me most was Carl, Leah’s husband. He wouldn’t allow himself to be predictable. I’m not sure I’ve confessed this in print…I often read the end of a book first! LoL--I almost always read the end of the book first! That lets me savor the book and see how the author wove in all the little details needed to get the reader to the end. hehe. Works for me! Getting a cold. Anything involving furniture polish or window cleaner. Stepping on a scale. Trying on bathing suits. Confronting people when I’m upset/bothered about something that may have happened (or I think should have happened!). As much as I talk, you’d think this wouldn’t be an issue. But my swimming skills are weak, so I hate to rock the boat. . .
Waking up without an alarm clock. Then just hanging out with my husband, my children (+ my precious son-in-law) and grandchildren. I have one child in Mississippi, one in Louisiana, and three + the grandgirls in Texas. Finding time to be together in one another’s physical presence is a scheduling nightmare. When the planets do align, and it’s possible, I am ever so grateful. Stephenie Meyer’s Twilight series, Philippia Gregory’s series, anything by Anne Lamott or Bill Bryson or Lisa Samson or Jenny B. Jones or Mary DeMuth or Joyce Magnin, Gabriel Garcia Marquez’s Love in the Time of Cholera, John Irving’s A Prayer for Owen Meany, Special Topics in Calamity Physics by Marisha Pessl, and The Help by Kathryn Stockett. Popcorn, Coke Zero, anything Blue Bell, coffee, unsalted peanuts…not necessarily in that order. Sometimes consumed simultaneously. For me, it’s my tagline, “stories of unscripted grace.” I think we grow up expecting our lives to follow a certain “script,” and when it doesn’t, we’re sometimes thrown into a tizzy. Or, like Carl, we’re shocked to discover others write scripts for us. It took me years to realize that God is the playwright, and His script is ultimately the one I’ll follow. And I think the grace is that part where God surprises us with the knowledge that, yes, this is truly where we’re supposed to be even if it wasn’t in our plan. And, yes, grace was waiting for us just around the corner. When is your next book due out and can you tell us about it? Well, still praying for one! Here's Gracie, my polar bear, on her way to her favorite spot on the deck where she watches everything going on in the yard. She loves the snow! She'll bury her snout in the snow and then flip it everywhere while she prances around. She's been lovin' life while I've been shivering and praying for spring. These two pictures are of the same spot on the deck! I much prefer this view than the snowy one! And we have robins in our yard so spring IS coming!! So tell me, has your Saturday been sunny? I've still been mulling over Shallowness in my life, and it's brought me to another -ness. Can a person be truly broken when their life is on Easy Street? God delights in a broken and contrite heart yet so often we (okay, I) think brokenness comes with trials and “bad” things in our lives. But I think you can be on Easy Street and still be broken before God, just like you can be in great trials and not be broken before God. Brokenness is a heart condition. Everything can be going well, in fact, I think you can be in a stage of your life when you're realizing your goals and when dreams are coming true and still be broken before God. God doesn't say a broken life pleases Him. God is glorified in and through us. Life can be routine and seemingly have nothing special going on or coming up, but we can be on our knees, broken before God. It's a heart attitude and a head attitude. It's not false false humility—pride masquerading as humility, but true humility before God, regardless of who sees you, or doesn't see you. Lord, please take me, break me and make me into a vessel You can use for Your glory. When people heard about the cases we worked on, their response was, “You should write a book.” With busy careers, we brushed aside those sentiments until we began studying the genealogy of Christ. In the midst of researching our own ancestors, God put a call on Diane’s heart to write historical fiction about a Dutch family who are persecuted for their faith prior to the Reformation. David typed every word. Since then, 9/11 happened and readers were interested in suspense. Our fourth thriller, Hero’s Ransom has just been released, but readers can watch for the earlier historical fiction to be published someday! Readers agree with us—our characters become like family and we want to see what happens to them. In Facing Justice, Federal Agents Eva Montanna and Griff Topping track down a man accused of financing terrorism who attends Eva’s church. Eva and Griff are too savvy to leave behind, so they solve new cases in Confirming Justice, Camelot Conspiracy and also in Hero’s Ransom. Because we sprinkle in fresh faces and each novel stands alone, readers can enjoy them in any order. 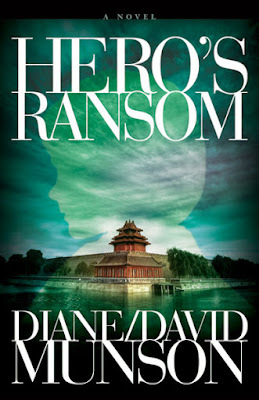 David: In Hero’s Ransom, CIA agent Bo Rider ventures into danger and has to save himself on the fly! Many of my undercover cases were like that. It was a treat for me to write about Bo, because early in my career, I was a Naval Intelligence Agent. In spite of his good intentions, Bo gets himself into a dilemma and it was fun to write about him worming his way out. In Thailand, Bo has an encounter with an elephant, which actually happened to me while in that country. Diane: Madison Stone is a young lawyer, filled with doubts after one of her cases goes haywire. As she fights for Sophie Worthing to retain custody of her five-year-old grandson, Maddie’s heart opens to another human in trouble and she loses sight of herself. Maddie is not purely autobiographical, but her journey matches part of mine. As the struggling young lawyer took shape on the page, I found myself remembering what it was like to try to prove myself without God’s help. David: Once I picketed a merchant’s store for an entire day when he sold me a suit which the merchant then could not alter. The merchant finally gave me a different suit just to get me to quit telling potential customers that he was a cheat. Justice was done! Diane: I went parasailing even though at the time I was really afraid of heights. It was fun, but I was glad to land back on the beach. Whew! Spending a clear, mild day together in Yellowstone, watching roaming bison, rutting elk, lumbering moose, and soaring eagles, and capturing all of God’s beautiful creatures on film. What’s a day without chocolate, the darker the better! Fresh fruit of all kinds and David still pops corn from scratch as a real treat. In each of our novels, we strive to show how characters who have faith in Christ and those who do not, live their lives. Hope, joy, forgiveness, mercy and justice are many of the themes readers will enjoy in our writing. There are so many people in our lives just now that need prayer without ceasing. How we can encourage one another is something we are learning more about every day. When is your next book due out and what is it about? Watch for our next release about this time next year as Hero’s Ransom is just out. Our fifth novel will be another thriller involving Bo Rider and his linking up with an Israeli Mossad agent to stop Iran. We’re writing it now and it is so exciting, we can’t wait for your reaction. And we look forward to reading your next book! Our family loves your books! Thank you for being with us this week. Be sure to check out Abby's review of Hero's Ransom at Bookworms Review! 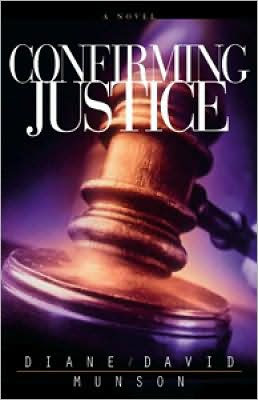 The Munsons are giving away a copy of Confirming Justice. To be entered in the book giveaway, leave a comment and check back on Sunday, February 21, to see if you've won. You can enter twice--once on each post in this spotlight. If you want to guarantee that you're notified if you win, then leave your email address in the comment, otherwise, you can just check back and email me through the button in my sidebar. When a millionaire drug-dealer wrote a memoir that became a movie staring Johnny Depp, Diane Munson decided the good guys wearing white hats should be the ones to write memoirs. A former Federal prosecutor, she knew the back story. She asked David, a former undercover DEA Special Agent, to join her in writing about David’s arrest of Johnny Depp’s character in Chicago and other criminals in what the Munsons call factional novels. Now, this husband and wife weave the thrills of back alley deals and major courtroom drama into international suspense novels. 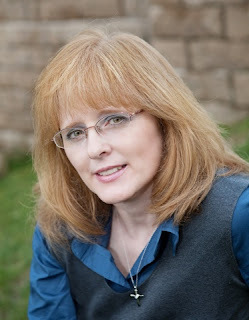 Diane Munson is an attorney of more than twenty-five years who transitioned from writing briefs for judges to writing inspiring fiction for readers. David Munson was a Special Agent with the U.S. Departments of Defense, Treasury, and Justice, concluding with the Drug Enforcement Administration. As an undercover agent, he infiltrated international drug smuggling organizations. 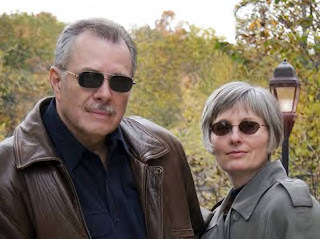 Diane and David have co-authored together three suspense thrillers: Facing Justice (2009), Confirming Justice (2009), The Camelot Conspiracy (2009) and Hero’ Ransom (2010). They are at work on their fifth novel. The highly anticipated Hero’s Ransom satisfies the demand for the next thriller by the spousal team of Diane and David Munson. Based on their exciting careers, Diane, a former federal prosecutor, and David, a former federal agent, once again feature popular federal agents Eva Montanna and Griff Topping, who now must partner with CIA agent Bo Rider to stop China’s ominous plot to annihilate America’s ability to defend itself. Young working mother Amber Worthing is arrested by the Chinese military after finding a two-thousand-year old mummy and artifacts that prove Magi worshiped Christ in Bethlehem. As a believer alone in a Chinese prison and caught between sinister world powers, Amber’s faith is tested in ways she never dreamed possible. Her mother and son face a traumatic custody battle because of Amber’s unexpected imprisonment. Once released, she and her family experience the power of forgiveness. In Confirming Justice, all eyes are on Federal Judge Dwight Pendergast, secretly in line for nomina­tion to the Supreme Court, who is presiding over a bribery case involving a cabinet secretary’s son. When the key prosecution witness disappears, FBI agent Griff Topping risks everything to save the case while Pendergast’s enemies seek to embroil the judge in a web of corruption and deceit. The whole world watches as events threaten the pow­erful position and those who covet it. Diane and David Munson masterfully create plot twists, legal intrigue and fast-paced suspense, in their realistic portrayal of what transpires behind the scenes at the center of power. Be sure to join us tomorrow for an interesting and fun interview with Diane and David Munson! Birthdays. I tell you, they sneak up on me! Before I realize it, the day is here and I'm scrambling. Thankfully, I'm one that shops for birthdays and Christmas year-round, and many times it's saved me. Anytime that I find a good gift, and can swing it, I pick it up and stash it away for later. By doing this I'm able to get good gifts, not just something that's available at the last minute. I try to shop smart by shopping ahead of time and shopping the sales--all so we can give the kids good gifts. God gives gifts that are way better than any gift I could ever find! He knows what's best for us and gives us those gifts. But really jumps out at me in this verse is “to those who ask Him!” How many times have I simply not asked? At least a gazillion, I'm sure. I know that when I started asking, God started giving even more. He has overwhelmed me with His abundance. Am I asking for wealth or a cushy life? No. I'm asking that my will align with His more everyday. I'm asking that He use me for His glory. Then, as I see specific things I ask for those, if it's something He wants for me. Above all I want His best. This is where I've found peace and blessings, even in the midst of uncertainty and fear. I know that I can rest in God's sovereignty and know that the gifts He gives me are for the best. He loves me far more than I can imagine, and as a parent I like to give good gifts, and work hard to so—how much more will our loving God give us good gifts. Here's a YouTube we watched with our kids about bad things that happen in our lives. Months ago we watched another clip with Nick (the man in this clip) and loved it. It was inspiring and touching and really made you think...then to hear this one and hear his faith. Wow. I loved the train analogy he used. 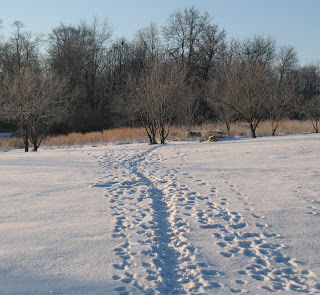 Does your heart have a highway running through it or is full of tracks going every which way? Join me there for more about Heart Highways. "Do you know God's grace? Then you can love boldly, live robustly. You can swing from trapeze to trapeze; his safety net will break your fall." I needed this message yesterday, today, this month. I feel like I'm standing on the platform with the trapeze in my hands, gathering up my courage to leap into the air...with nothing but a trapeze in my hand. But that's not how it is at all. God's safety net is below me and will catch me should I fall. It's time to take that step and soar. Let's live boldly. Let's live robustly! Step with me. Let's fly! All that to say, I didn't get the winner selected on Sunday. Sorry about that. The winner of Jill Eileen Smith's novel, Abigail, is Linda! Congratulations, Linda, and thank you, Jill! Next week we have Diane and David Munson with their novel, Hero's Ransom, and let me tell you, it's good! It will keep you on the edge of your seat—and I mean that literally, it really will make you sit on the edge of your chair. My daughter, Abby, posted a review of it on Bookworms, be sure to check it out. This is a book I had to almost pry out of her hands so others in the family could read it—Abby had it stashed in with her favorite books. It's that good! I cannot wait to introduce you to this couple. They're ones that it would be interesting to hear the stories they could tell. Wow. So be sure to join us next Tuesday and Wednesday to meet the Munsons and hear about their newest release, Hero's Ransom. This week I've been hard at work writing the blogging course Clearing the Blog Fog. Last night I finalized plans with Tracy Ruckman of Pix n Pens and WIES Workshops and I'll be teaching Clearing the Blog Fog through WIES Workshops August 23 – October 1 of this year. I'll also be teaching it before then, but I don't have anything finalized for that yet. Blogging is more than a web journal, it encompasses everything from marketing to ministry and so much more. If you're thinking about blogging, but don't know where to start, or why you should start now, Clearing the Blog Fog will get you going. You'll learn the benefits and the basics of blogging, and how to set up a blog from start to the final tweaks. When you're done, you'll have a blog that's ready to roll. I've been amazed by how God is working things out in relation to Clearing the Blog Fog. Totally amazed. And I have no doubt this is from Him. Easy Street. Some of us are living there. 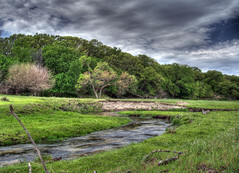 Our lives are more like a gentle brook than the pounding surf or a river in flood stage. Sure, we have things in our lives that are wearing some rough edges off us, but it's a gentle action. Easy Street comes with it's own set of cautions. Complacency. Pride. Laziness. Freshness. Recently in my cover-to-cover Bible reading, I came across Asaph and his relatives. Do you remember them? David assigned them to be gatekeepers and singers in the temple so there would be continual praise offered up to God. When I read this my initial response was “What a cool job to have!” but the more I thought about it, the more I wondered if they struggled with just going through the motions. Show up, do the job, go home. No joy. No blessing. Just doing the job. This is something that many of us struggle with. So how can we stay fresh? Should we just stop and wait until our heart is in it? No, I don't think so. So many times when I sit and do my Bible reading I find my mind wandering, or I find myself reading, but not really catching what I'm reading. For me, that's going through the motions. Showing up and doing the job. No joy. No blessing. Stale. And it's not what I want. A relationship with God is not just Bible reading and prayer, it's connecting with Him. That's where freshness is found. It's pushing through the crowd so I can reach out and touch the hem of His cloak so I can feel God working in me. For me, freshness is found by focusing completely on God, His attributes, His holiness, and all He's done for me. When I'm focus on God like that, it's easier for me to remember that Easy Street is from God and not from something that I'm doing right or because I'm so special. Praising God with our lives while on Easy Street can become routine and stale, and we can be lulled into complacency, laziness and pride if we're not careful. Let's not use Easy Street as a time to rest on our laurels. Let's use it as a time to sink our roots deep into the Living Word so when storms blow in and when a flash flood comes crashing down on us, we'll be grounded in God and already clinging to Him. Don't let Easy Street lull you into the land of humdrum and rob you of joy. I just NEED to stop and say, again, our God is so awesome! It's been an incredible week for me! Not only am I on track with our Jiffy writing challenge for the month of February, even after writing only 218 words yesterday, but I've been working on the blog class/course and making progress with that, too. I. am. astounded. I tried working on a post today--another -ness one to go with Shallowness and Smoothness, but the words weren't flowing. It might have been tiredness hindering them and it might have been brain fuzziness, but whatever it was, I got the point of the post that's not here (yet), even if I couldn't get it on paper. It's on Freshness... and priests. hehe. They really do go together. At least in my mind. But that post will come later. I'm still mulling over these -ness things and God is blessing me tremendously through them. ANYway, I just wanted to tell you I'm bouncing off the walls this week. God is amazing. Absolutely, truly amazing. Don't forget the Bookworms have a giveaway going on with Janice Thompson and I have one here too, with Jill Eileen Smith. I’m not sure I ever had an epiphany moment, but there was a point where I realized that I wanted to write the book I wanted to read and I wanted to see it published, to hold it in my hands. That was about 20 years before I actually held the first of three books that would make up the book I wanted to read – the book of my heart. Hmm…that’s a tough question! I have written probably ten novels in my twenty-year waiting period, but only two are in print – well almost two! The third of this series is written, but the next series is just beginning. As for the most fun? In the sense that I loved the writing, loved the stories, I’d say each one is my favorite at the time I’m writing it. (How’s that for a cop-out?) 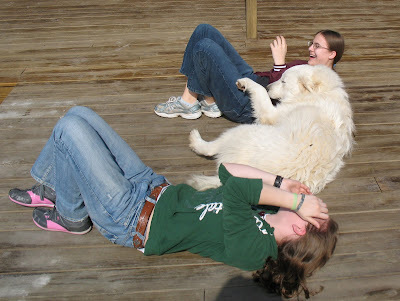  In truth, I love each one differently, kind of the way you love your children – equally, yet different. If I had to pick a favorite of this series, it would probably be Bathsheba. But that won’t make my readers happy because it has a year to release! Figuring out the plot! Pray, study, brainstorm, paragraph summarize, explore motives, goals, and conflict, and write. David has always been my favorite character, but in this story I found Abigail most intriguing. How did she feel when she realized she’d been given in marriage to a fool? How did she endure years of marriage to the man? 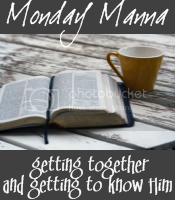 What did she go through when she found out that marriage to David had it’s own drawbacks and that sharing a man wasn’t going to be as easy as she once thought? I love exploring the “why” and “how” behind the “what” of Scripture. How about embarrassing moment? It happened at my first ACFW writer’s conference. Karen Kingsbury was keynote speaker. I’d been invited to watch a movie in her room the first night, which was so totally fun and unexpected! (And I felt pretty out of my element being such a newbie!) The group decided to meet there again the next night, so I headed upstairs after the last meeting of the day. I met a couple of other women in the hall and we knocked on Karen’s door. We waited. No answer. Did we have the wrong room? But I wasn’t alone, so it had to be right, didn’t it? We knocked again until at last we got a disgruntled shout from the other side – a man! When did a man show up in Karen’s room? It finally occurred to us that we had the wrong room. Come to find out, we’d awakened an airline pilot who had to get up early the next morning for a flight. Karen handled our error for us, graciously leaving him a stack of her books as apology. And the whole conference had a good laugh about it at breakfast the next morning! Oh. my. What an experience! My favorites are historicals, but I read almost every genre except sci-fi and not too much fantasy, though my recent interest in some new fantasy authors has changed that view. (And I loved The Lord of the Rings movies.) Romance always catches my eye, but I prefer romances mixed with history or suspense, not so much the straight category style. I’ve read some Amish books, but prefer other genres. Mysteries that keep me guessing until the end of the book rank high on my list. I love a great story that is not predictable, with deep characters, and an intriguing premise. I’ve read mostly in the Christian market, but have lately been expanding to read in the ABA market as well. Forgiveness and absolute surrender to the Lord. These themes pop up in nearly everything I write whether I mean them to or not. There is so much wrong with harboring bitterness and holding grudges against God and men. Without a forgiving spirit, how can we expect to be forgiven ourselves? And if we don’t give our wills to God in surrender to His, we’ll never really know Him. To keep trusting Him, to pray more, to relinquish the control I thought I had (but never did!) To especially trust Him with my kids, who are all adults now. I won’t always be there for them, but He will. These are ongoing life lessons. Bathsheba: A Novel releases February 1, 2011. I don’t have any official blurbs on it yet, but the summary I put on my website is this: She longs for love, but succumbs to his charm – can she ever regain all she’s lost? Bathsheba, of course, is the wife of King David, taken by him in an adulterous affair. Her story evoked more emotion in me than any book I’ve yet written – perhaps that’s why I called it my favorite. I hope my readers will find the book as meaningful as I did. Jill is giving away a copy of Abigail. To be entered in the book giveaway, leave a comment and check back on Sunday, February 7th to see if you've won. You can enter twice--once on each post in this spotlight. If you want to guarantee that you're notified if you win, then leave your email address in the comment, otherwise, you can just check back and email me through the button in my sidebar. Jill Eileen Smith is the best-selling author of Michal, book one in The Wives of King David series. When she isn’t writing, she enjoys time with her family, reading great stories, trying new recipes, and snuggling her two adorable cats. Jill’s research into the lives of David’s wives has taken her from the Bible to Israel, and she particularly enjoys learning how women lived in Old Testament times. Her collection of Bible study helps and books on culture and history, along with an abundance of novels fills at least one shelf or bookcase in nearly every room in the house. She loves movies, travel, dark chocolate, black tea, stories with great characters and plots twists, and nights when she doesn’t have to cook! She and her husband Randy have been married for 32 years and together they have three grown sons. During 12 years of homeschooling, Jill studied the craft of writing with her eye on a future career. She has visited most of the continental United States (with the exception of the East Coast) along with Hawaii, Canada, and Israel. 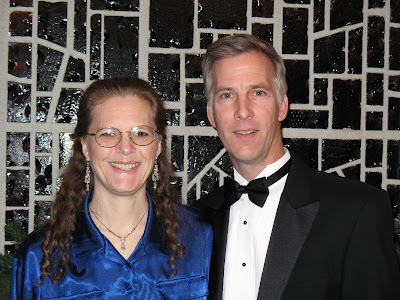 She has taught women’s Bible studies and piano, and enjoys mentoring young writers. She lives with her family in southeast Michigan. 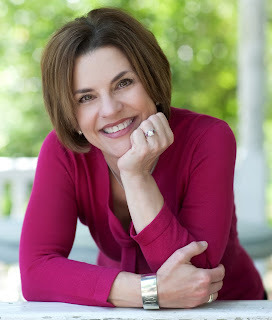 You can find Jill online at www.jilleileensmith.com and www.thewivesofkingdavid.com. 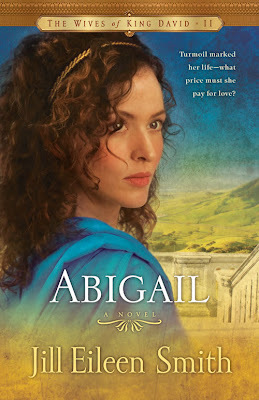 Abigail follows the bestselling Michal and continues Jill Eileen Smith’s rich story of David’s wives. David. It had to be. The sight of the king's son-in-law was nothing like she had imagined. In the stories she'd heard of him, he was the shepherd and singer and the man who would kill to marry the woman he loved. The last thought should have warned her of the fierce warrior who strode down the hill, gaze angry and proud. He was more handsome than Nabal, but his expression was as dark as Nabal's had been the night he had assaulted her the first year of their marriage. Her knees grew weak, and she wasn't sure they would hold her, but she reined in her donkey just the same and slipped from its back. David's pace didn't slow until he stopped within an arm's length. She sucked in a startled breath. He was so close she could feel the strength of him, smell his sweat. Unable to stand without swaying, she fell to her knees and lowered her face to the dust. "My lord . . . please, let me speak to you. Hear what your servant has to say." She stopped and waited for his response, her heart pounding. Silence spanned between them like a wide chasm. She felt his touch on her head. "Rise and speak." His voice was quiet and hoarse, as though he didn't trust himself to say more.